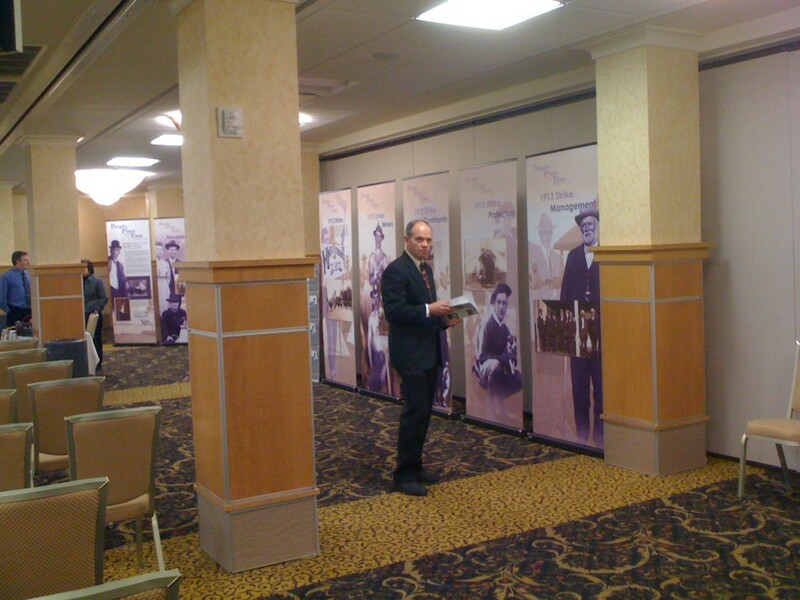 The Michigan Tech provided a sneak peek at its new exhibit concerning the life and times of Calumet photographer J.W. Nara. Although the official opening will occur in the library on December 16, we were asked to set it up for the university’s Board of Control meeting on Friday, December 11, in the Memorial Union Building on the Michigan Tech campus. 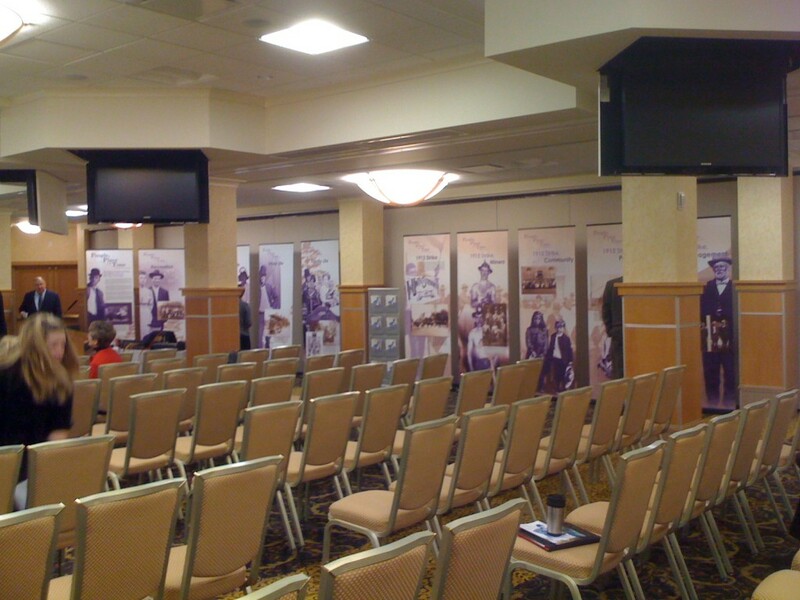 The exhibit consists of 10 ‘banner up’ exhibit panels highlighting the photos and life of J.W. 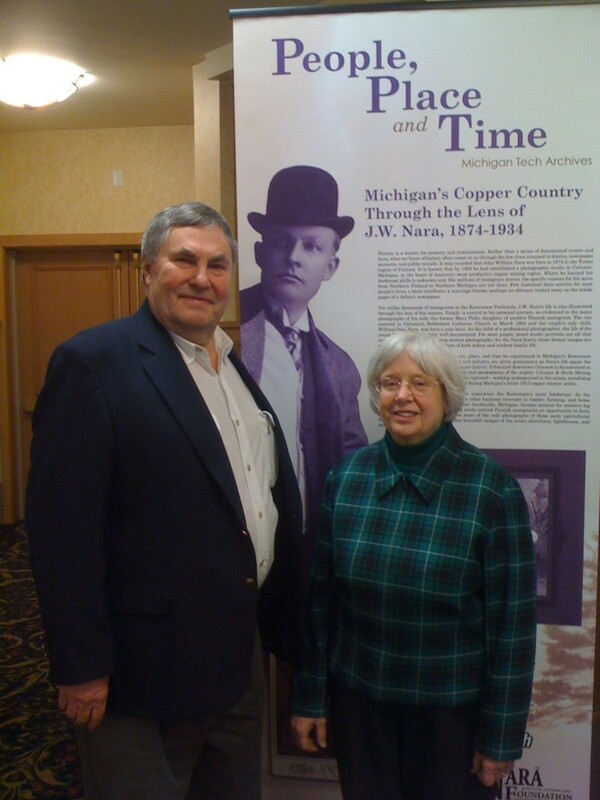 Nara, a photographer who lived in Calumet, Michigan, in the early Twentieth Century. There is also a small exhibit catalog with cut-out postcards of three Nara photos. Dr. Robert Nara and his wife Ruth. Bob is a grandson of photographer J.W. Nara, and provided support for the project.